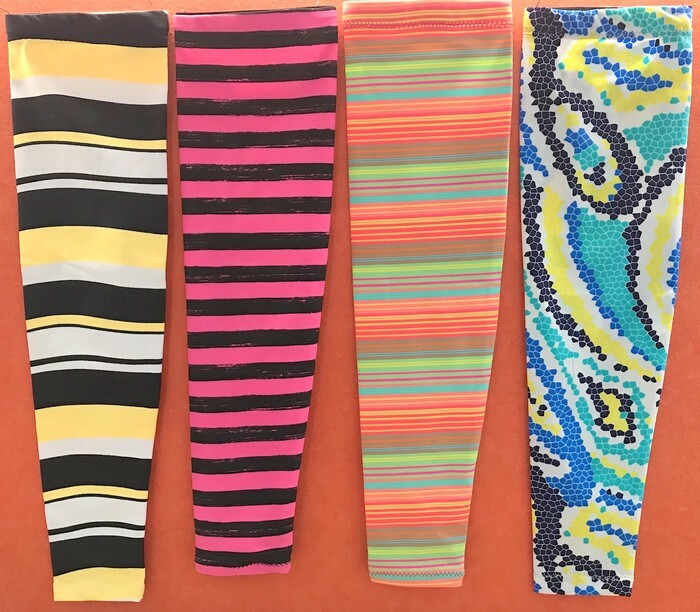 Layer up with Simply Joolz sunsleeves for sun protection made of lycra with elastic on inside upper arm (similar to elastic on bike shorts). They offer great protection from the sun and you can pull them onand off according to the weather. Lycra has high UV sun protection qualities. Excellent for cyclists or golfers, walkers, canoeists and anyone who loves outdoors! Other bright multi-colour sleeves available - see last photo.. Visit SimplyJoolz website.